A friend, who is a painter, once told me that he paints every single day whether or not he is inspired. This keeps his skills sharp so he can do something exceptional with the inspiration when it does come. I think that’s sound policy, so I’m subscribing to it. Although we haven’t been having much in the way of summer weather, I’m still checking out terraces so when we do we’re ready for a cocktail in the sun. So when I met Emily at the Closerie des Lilas, I bypassed the barstools and went for a table outside. No newbie to the scene, this historical Montparnasse address has been around since 1847 and seen the likes of Hemingway, Picasso and Henry Miller pass through its doors on a regular basis. Today, nameplates indicate the usual tables of these brilliant minds from bygone days. And, its sweet tree-lined terrace provides a pleasant escape from the daily grind of the city. The hefty cocktail menu offers dozens of various classics like martinis, americanos, and daiquiris. And, I think it may be the only menu in Paris with a Harvey Wallbanger. The house creations rely heavily on Havana Club 3 year with an additional section based on a range of spirits. My martini was acceptable but not exceptional and the same goes for Emily’s mint julep (which I would have liked to see in a julep cup rather than a Havana Club branded glass). While better than average for Paris, the drinks at 15+ Euros didn’t justify a second round and we followed up glass of wine instead. Service is superior with suited waiters bringing savory bar snacks. Heat lamps and umbrellas mean the terrace can handle cocktail hour from sunny afternoons to cool evenings. While the drinks aren’t extraordinary, they are better than average with ample selection and a large choice. But it’s really the historical setting, delightful decor and relaxing terrace that make this spot worth a summer flirtation. 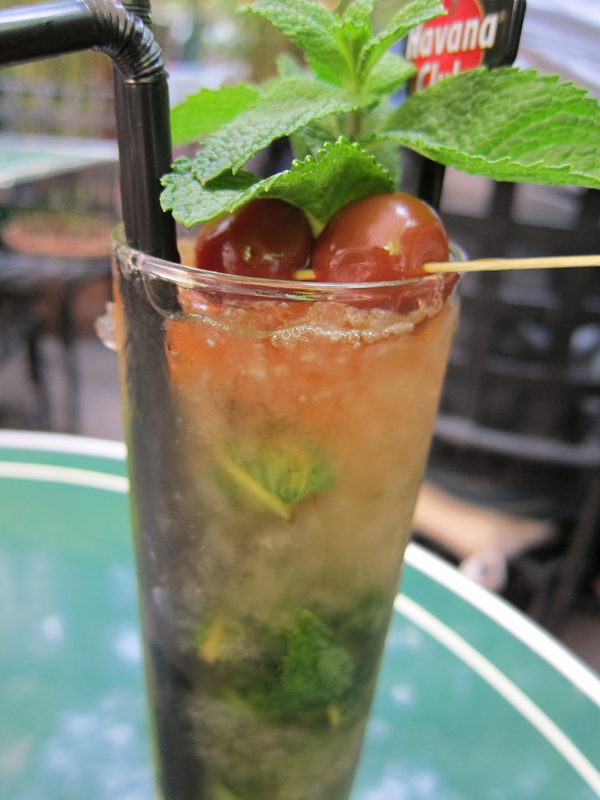 In the meantime, I’ll keep up my search for the best cocktails on a Paris terrace. Kabanito used to serve Harvey Wallbanger, and I see it is still on the list. 6€ on Happy Hour. I have’nt been there since I really started to learn about cocktails, so I don’t know if it worth it. i absolutely love the Closerie but never had a cocktail there. food, champagne but no cocktail. and the bathrooms are the most beautiful i have seen in Paris, Art Déco style. I love the analogy of painting every day to keep the skills up for when inspiration hits. 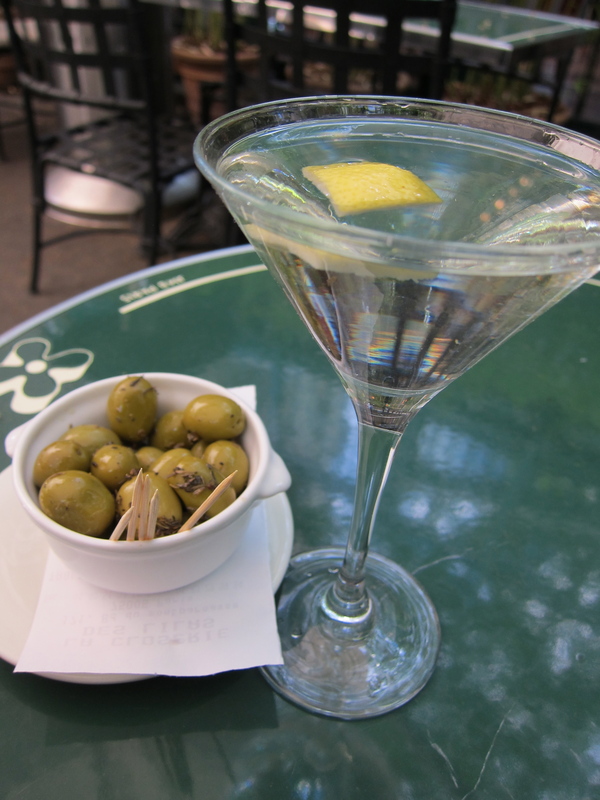 I’m going to keep making martinis regularly so I can make a great one when somebody needs it! Thanks for this lovely review of the restaurant! Recently when I visited Paris and this app helped me out so good in Paris, you should check this out! Its an offline Metro RER map so I saved pretty much on Taxi and got lotta info on Tourist Places and Restaurants! And its really a cheap app too, less than a dollar!!! Do try it out I’m sure you’ll love it!!! Sylvain: I haven’t been there for ages, but should try and get out for a visit. They’re quite nice there – should see how their drinks are holding up. Columbine: how was the food there? I’ll right away grasp your rss feed as I can not in finding your e-mail subscription hyperlink or e-newsletter service. Do you’ve any? Kindly let me recognize so that I may just subscribe. Thanks.